National Stryker Hip Implant Attorneys | Ennis & Ennis, P.A. Hip implants are supposed to create a better quality of life for those with failing joint issues. But not all hip implants benefit patients and their need for joint replacement. The unfortunate reality is that patients across the United States are finding that some of these new leases on life are creating more trouble than anyone realized. From metal poisoning to metal on metal joints popping out of the socket, these products have become a financial, emotional and physical drain on patients. In July 2012, Stryker Orthopedics voluntarily recalled its Rejuvenate Modular hip system. The recall includes both of Stryker's Rejuvenate and ABG II modular-neck hip stems. The recall was initiated due to the potential risks associated with fretting and corrosion at the modular-neck junction. This may result in local tissue reactions and damage causing pain and swelling. While most hip implants are expected to last 15 to 20 years, there have been cases of the Stryker Rejuvenate hips failing in less than five years. In November 2014, New Jersey-based Stryker Corp agreed to pay more than $1 billion to settle lawsuits for patients injured by its Rejuvenate and AGB II implants. Around 20,000 people at the time had received these implants, but the settlement went only to 4,000 who had reported being injured at the time. The Stryker Rejuvenate hip replacement has also been linked to an increased risk of metallosis. 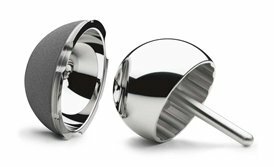 The Rejuvenate and ABG II hip implants are different from other metal on metal hip implants in that they have a ceramic component that was an alternative to all metal on metal designs. They do however have a metal neck piece that can, in some cases, rub against the metal stem causing toxic metallic debris to come loose and cause metallosis. There are a variety of symptoms you may experience with Stryker’s hip implant devices. One of them is a stiffness of joints, bleeding and damage to blood vessels and nerves. Differing leg lengths have been reported as well. One of the most common and severe complications that patients with a defective Stryker Rejuvenate hip implant may face is metallosis, a condition in which metal particles build up in the tissue around the implanted joint to toxic levels. If you or a loved one have suffered or been injured from a defective Stryker Rejuvenate hip implant or Stryker ABG II Modular neck stem hip implant or have needed hip implant revision surgery due to a defective Stryker hip replacement you may be entitled to compensation. Ennis & Ennis is also currently accepting cases for defective Stryker Rejuvenate hip implants. Contact the experienced attorneys of Ennis & Ennis today for a free, confidential case evaluation by filling out the form on this page or calling our office.